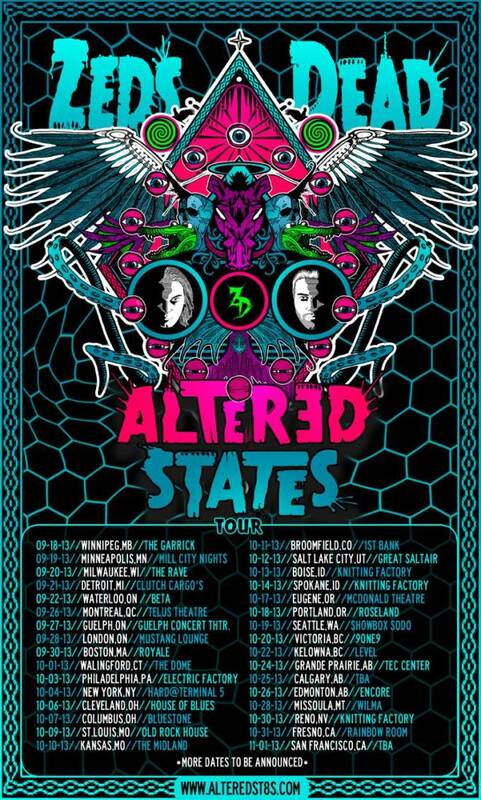 Kicking off on September 18 is Zeds Dead&apos;s "Altered States" tour, which will span 35 dates and feature (are you ready for this): Green Lantern, Branchez, and Paper Diamond on every date. The name of the tour is said to be speaking on "how music has the power to change the way you feel and alter your perceptions," as well as, duh, all of the states they&apos;re going to be hitting. To celebrate this trek across North America, Zeds Dead linked up with their tourmates for a special free (!!) EP, with one track from each DJ on the tour. Tickets go on sale June 10, but pre-sale tickets go on sale June 5; check out Alteredst8s.com for more details. Check out the full list of scheduled tour dates, and stream/download the EP down below.